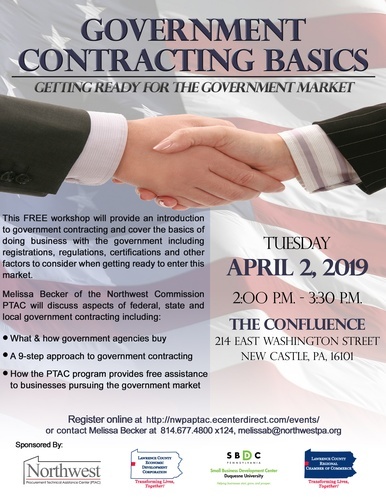 This FREE workshop will provide an introduction to government contracting and cover the basics of doing business with the government including registrations, regulations, certifications, and other factors to consider when getting ready to enter this market. 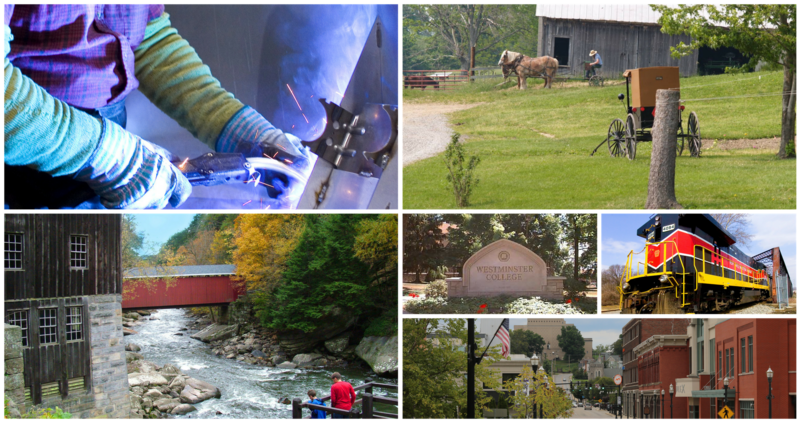 Paul Bucciarelli, outreach consultant for Duquense University's SBDC, will provide a brief overview of programs and resources available to small businesses - whether already established or up and coming. There is street parking and a few parking lots near the venue. You may also park in the New Castle Transit Authority lots up the block from The Confluence, next to and accross from The Regional Chamber of Commerce (325 East Washington Street, New Castle, PA 16101). If you have any questions about venue location or parking, please contact Kati Dey at 724-658-1488 or kati@lawrencecountychamber.org. This workshop is free. RSVP's are strongly encouraged. You can register online here or at the following link: http://nwpaptac.ecenterdirect.com/events/. You can also RSVP to Melissa Becker at 814-677-4800 x124 or melissa@northwestpa.org.